I'm finishing off this week of Apps for Gifts series with one for older children. 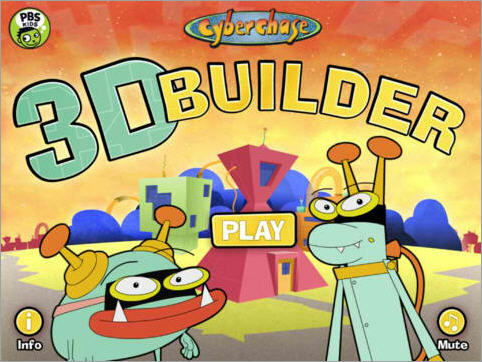 Cyberchase 3D Builder from PBS KIDS is designed to help kids understand how 3-dimensional geometric shapes are made from simple 2-dimensional ones. 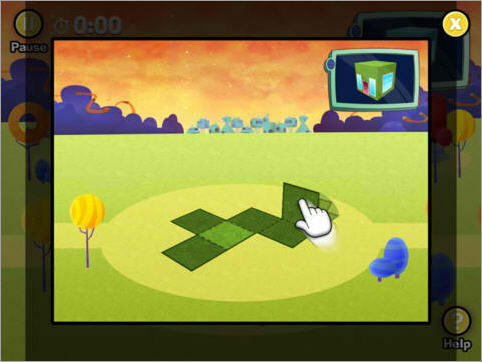 Brief Description: A 3D puzzle game that introduces players to geometry concepts. 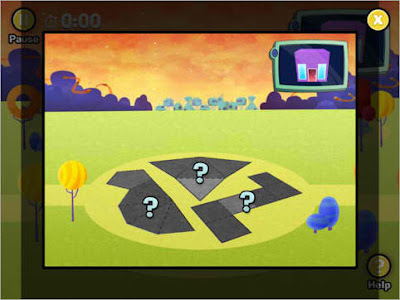 There is a short animated video at the beginning of the game that establishes the story line and explains why they are putting together these 3-dimensional shapes. My son enjoyed watching the clip, but even more, he loves the interactive component of the game. He has to rebuild the houses in Botopolis, which were accidentally flattened by the bumbling bots Buzz and Delete who pushed their spaceship's zapper button by mistake. 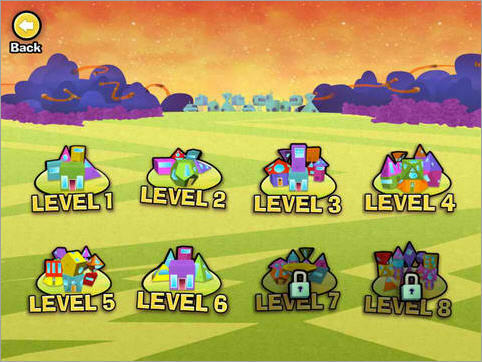 There are eight levels (neighborhoods), each one more difficult than the last. To rebuild the houses, in each neighborhood, my kids have to use their fingers to fold the 2D shapes into 3D structures. It is sort of like origami, but on a virtual level. Each level provides a picture that looks like the building you are trying to construct. As the levels get harder, though, you are given more choices including stacking, turning, and even choosing which shapes to use. There is a lot of conceptual thinking required for this game. I played it myself and was so engrossed trying to visualize how which shapes would fit the models once they were assembled. Level 7 and 8 were hard! Not unreasonably so, but enought to challenge young (or old!) minds. I also love the number of challenges. 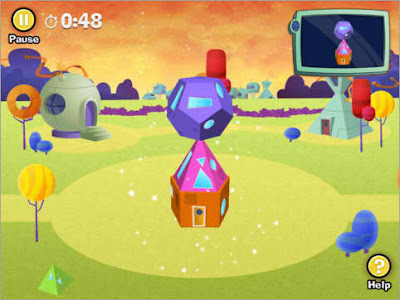 By the end of the game, over 70 flat 2D shapes transform into 40 3D structures. And I like how it is paced. You cannot go on to the next level until you have successfully completed the one before it.